Deep dive into the most advanced designer for IBM i.
Update your skill set and learn how to get more out of Newlook version 10 with UI/UX specialist Nick Hampson. 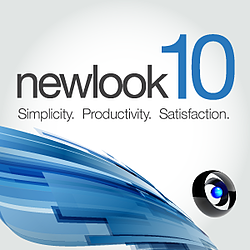 "It is immediately obvious that a lot of thought and effort went into Newlook version 10. Enhancements like multiple mobile device support and custom form sizes, tight integration with RPG Open Access, and the improvements to the flow and workspace area make modernizing applications even easier. Congratulations to Looksoftware for making a great product even better."